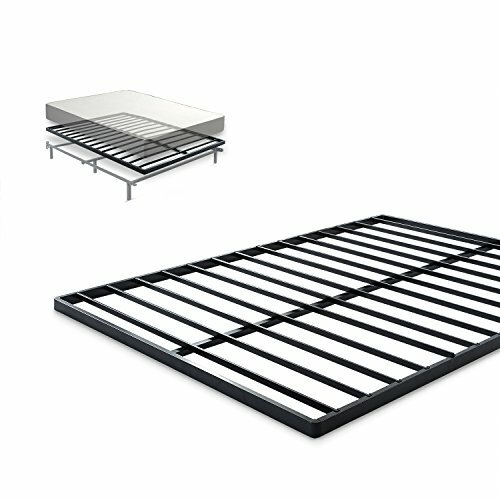 The 4 Inch Low Profile BiFold Box Spring by Zinus is an innovative folding mattress foundation designed for mobility and functionality. Traditional box springs are hard to maneuver through your home, especially upstairs and through doorways, but the BiFold Box Spring is easy to use in tight places. Tougher than it Looks - Offers the look and functionality of a traditional box spring but made from heavy gauge steel for longer-lasting durability. No assembly required, simply open the box, slide the foundation out and unfold, it will immediately open to the shape of a box spring. Worry free 5-year limited warranty. Another comfort innovation from Zinus. Pioneering comfort. 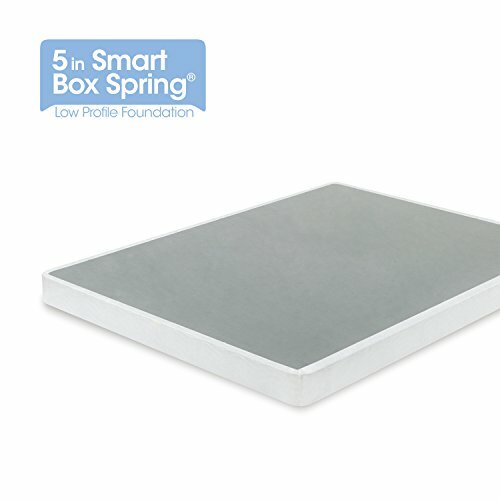 Enjoy the strong support and convenience of the new 4 inch low profile quick lock smart box spring by Zinus. Offers the look and functionality of a traditional box spring, but made from steel for longer-lasting durability. Compact packaging allows for tight interior spaces such as stairs and hallways. Quick lock easy assembly with all the needed tools included. Another comfort innovation from Zinus. 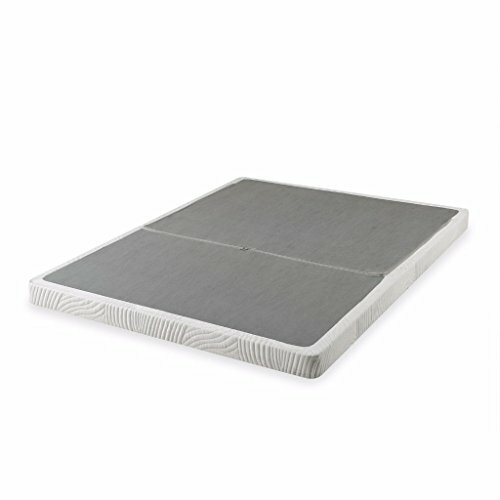 Enjoy the strong support and convenience of the new 4 Inch Smart Box Spring by Zinus, offering the look and functionality of a traditional box spring, but made from steel for longer-lasting durability. Wood slats provide strong, comfortable support. Compact packaging allows for tight interior spaces such as stairs and hallways. Easy assembly with all the needed tools included. Worry free 5 year limited warranty. Another comfort innovation from Zinus. Frame and Mattress sold separately. The Zinus 1.6 inch wood slat Bunkie board offers a slim, strong and sturdy foundation for your spring, memory foam, or Hybrid mattress. 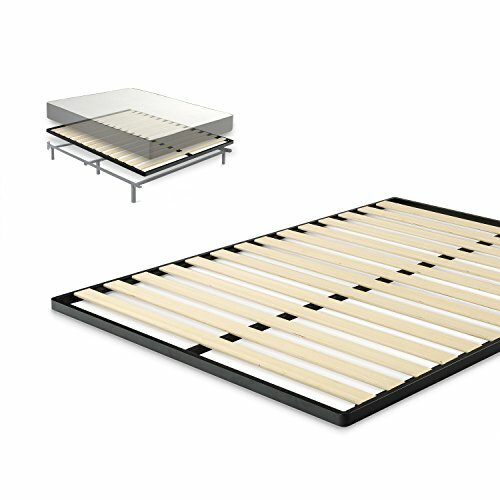 Made of premium steel and featuring wood slats, the Zinus Bunkie board provides ideal mattress support. Compact packaging allows for tight interior spaces such as stairs and hallways. 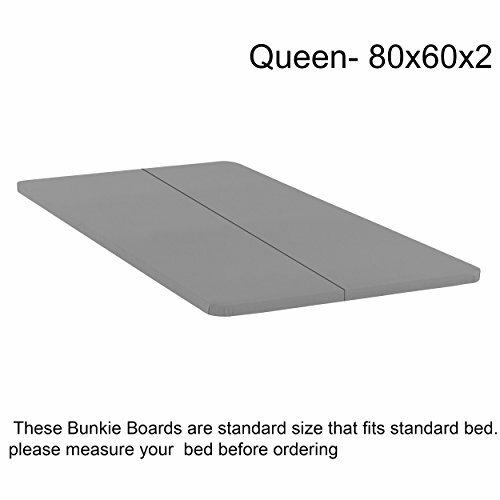 Available in twin, Full, queen, and King, the Zinus Bunkie board will ensure long-lasting support and durability for your mattress. Another comfort innovation from Zinus. 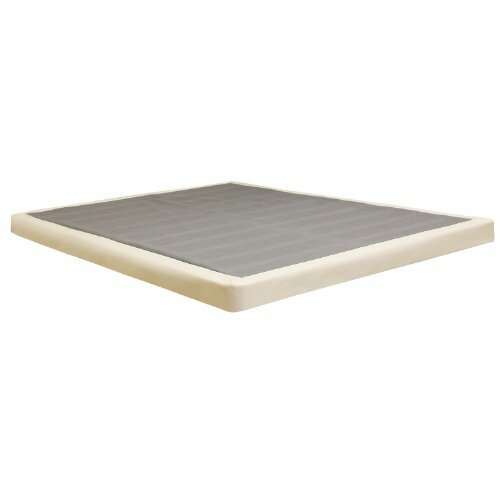 The Mattress Solution 1.5-inch Bunkie board, provides a solid surface foundation for any platform beds, bunks and daybeds. 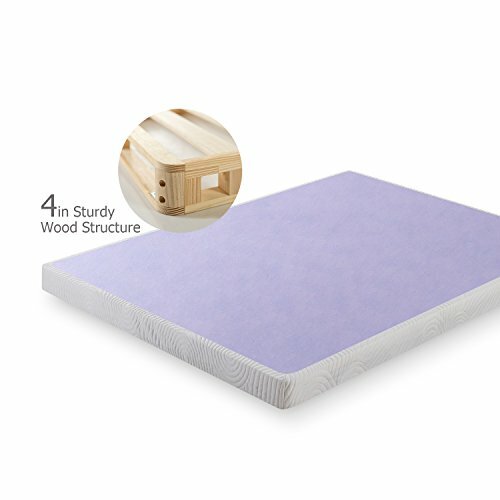 It adds support to the mattress and will keep mattress stay in good shape thus extending the life of your mattress. 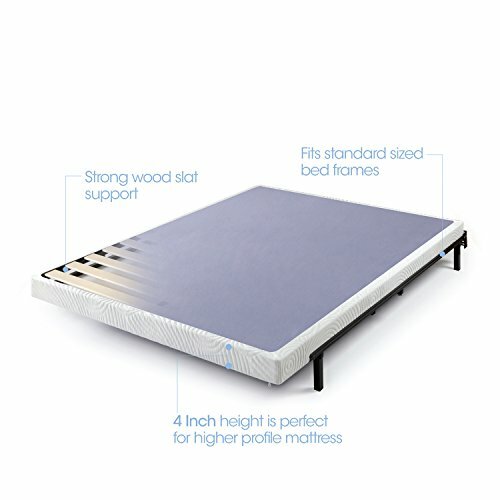 It will give a firm Bottom support for the mattress and raises the mattress up for about 1.5 inch. 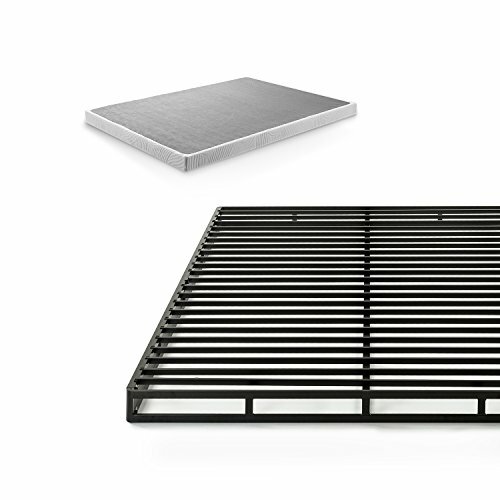 When a mattress is placed directly on slats or metal spring, the mattress will have the tendency to rip or sink. These can be avoided with the use of a Bunkie board. Using a Bunkie board doubles the mattress' life expectancy. This Bunkie board is a good alternative in lieu of a box spring that may be too high for day beds. It will give the bed a lift without adding much Height. This Bunkie board is strong enough to be used directly on bed frame in lieu of a box spring. It will give the mattress a lift which is quite low but will definitely hold up the mattress. It is wrapped in a stitch bonded nonwoven fabric. It meets federal standards 1632 and 1633 fire code. This Spinal Solution Bunkie board will give you enduring comfort and durability for an excellent sleep.